Back on after a false start a few minutes earlier. 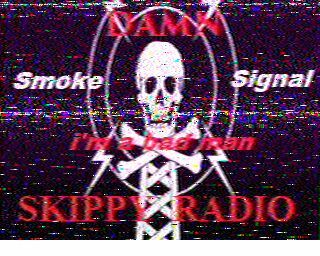 0332 - back on with "Bad Man" Blues Saraceno, assuming this is the same station. 0200 "Don't You Forget About Me" Simple Minds, fair to good signal here. Thanks for the show! 0202 seems to be off. 0203 back on, don't recognize the song "Long Cool Woman In a Black Dress"The Hollies, signal's quite good now. 0223 MUF must be sinking like a stone. JBA now, sometimes faded out completely. Sounds like the same song is still playing. 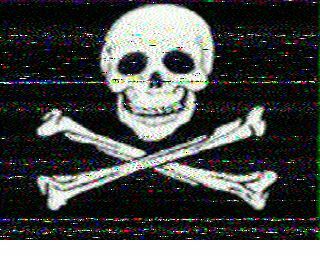 I received seven SSTV images (0235z, 0255z, 0301z, 0319z, 0321z, 0323z, and 0324z) but all were of pretty rough quality and aren't worth sharing since others had better copies posted here. 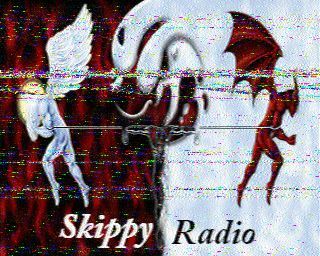 Thanks for the show Skippy! Clear signal around S7. 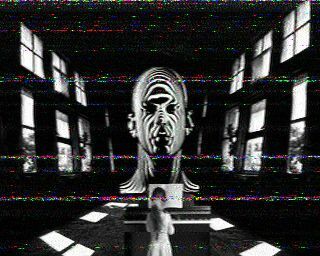 Fading in and out here. Really good when it fades in. Thanks for the broadcast. Long Cool Woman sounding very good. Fair here with noise in the spot where a lower sideband might be. About s8 into SC at the moment. 0152 end of a jazzy song, dead air, 0158 Simple Minds, dead air, "Long cool woman,"
0205 long cool woman in a black dress. 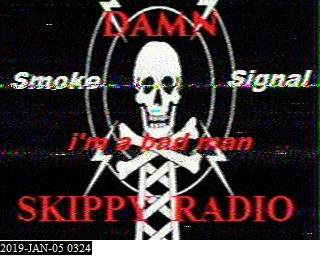 S5 on a Georgetown Kentucky sdr. Quiet but readable above some noise. S7 with some qsb into north AL. Sounding good. Thanks for the tunes! S7 and good audio at 0213 w/ "Green Eyed Lady" by Sugar Loaf, "Sweet City Woman" by Stampeders, "Devil Woman" by Cliff Richard. "Hall Of The Mountain King" by Savatage. 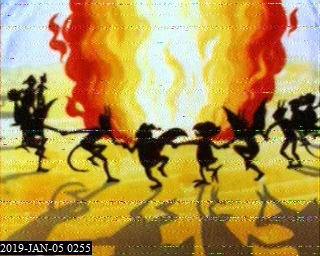 SSTV at 0235 UTC. Into UNID Iron Maiden (?) song, UNID King Diamond/ or Merciful Fate song. 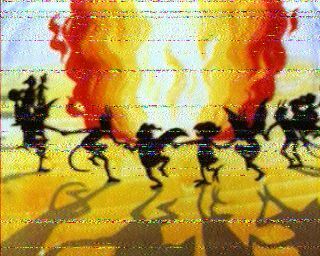 More SSTV at 0255, into "Balls To The Wall" by Accept. 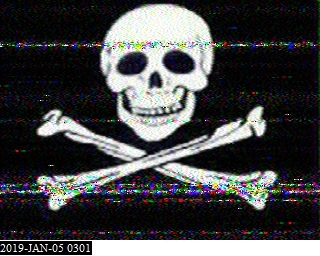 More SSTV at 0301. An ID would be great !